BJP's BS Yeddyurappa is planning to field former deputy chief minister and MLA R Ashoka against Congress strongman DK Shivakumar's brother DK Suresh in this year’s Lok Sabha elections, sources say. He is all set to prove the Congress that says ‘even Modi can’t win’ from here. Bengaluru: If some think former Karnataka chief minister BS Yeddyurappa (BSY) is weak in making strategies, especially after the failure of ‘Operation Kamala’, they are wrong. According to sources, BSY is making an effort to consolidate his position in the state BJP and taking on the man, R Ashoka, who scuttled his plans earlier. He is now planning to field MLA Ashoka against DK Suresh from Bengaluru Rural in the upcoming Lok Sabha polls. With this, BSY wants to send a strong message that he is a good strategist too. It is believed that MLAs Ashoka, V Somanna and other leaders were responsible to scuttle BSY's son BY Vijendra’s growth in politics. Vijendra's name was doing the rounds to contest from Hanur in Old Mysuru region in the Assembly election last year. However, Vijendra did not get the ticket and his supporters accused BJP leaders responsible for it. "This will be a good move (by BSY). If Ashoka refuses to contest by giving excuses this will make him look like a coward. If he agrees to contest, DK brothers along with chief minister HD Kumaraswamy’s supporters will decimate Ashoka. This is a masterstroke by BSY," a senior BJP leader, requesting anonymity, said. Karnataka BJP spokesperson Ashwathnarayana defended the party by saying that there is no such rift in the party and will put a united fight in the Lok Sabha elections. "If our leader R Ashoka is given the nod by the party high command, we will work hard and ensure he wins with a thumping majority from Bengaluru Rural and send him to central politics," Ashwathnarayana said. 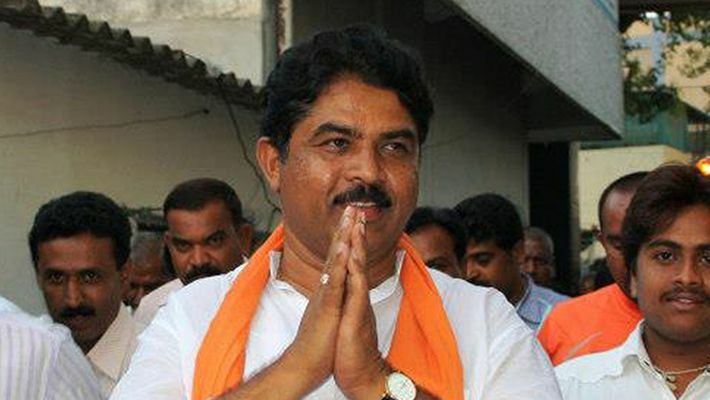 Former MLA S Muniraju and close confidante of Ashoka said that the former deputy chief minister is keen on playing a vital role as BJP leaders Rudresh and P Muniraju Gowda are keen on contesting against Suresh. "It is left to the party high command to select and ask the candidate to contest for Lok Sabha polls. Whoever gets the nod, we will work for the party," said Muniraju. The Congress said it is ready to even to take on Prime Minister Narendra Modi from Bengaluru Rural. As the news about BSY's plan to field Ashoka from Bengaluru Rural reached Suresh, the sitting Member of the Parliament from the constituency, said that the Congress camp is not worried. "Forget Ashoka, even if Prime Minister Narendra Modi contests from here, we will win as the public is with us," said Suresh. In 2014 Lok Sabha election, the total voters in Bengaluru Rural were 21,90,397. There was 66.44% voting. Suresh won with 6,52,723 votes. BJP’s Muniraju Gowda, who was riding on Modi wave got 4,21,243 votes and JD(S)’s controversial candidate Prabhakar Reddy secured 3,17,870 votes.